Oral and Maxillofacial surgeons David R. Mulherin, DDS and J. Enrique Tabarini DDS, MS practice a full scope of oral and maxillofacial surgery with expertise ranging from corrective jaw surgery to wisdom tooth removal. We also perform a full range of dental implant and bone grafting procedures. The staff of North Houston-Woodlands Oral Surgical Arts PC are trained in assisting with I.V. sedation within our state of the art office setting. Dental implants are designed to provide a foundation for replacement teeth that look, feel, and function like natural teeth. The person who has lost teeth regains the ability to eat virtually anything and can smile with confidence, knowing that the teeth appear natural and that facial contours will be preserved.Dental implants are changing the way people live. With them, people are rediscovering the comfort and confidence to eat, speak, laugh and enjoy life. 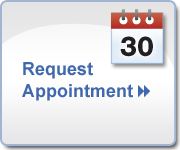 For more information about dental implants or to schedule a consultation appointment, call us at North Houston-Woodlands Oral Surgical Arts Phone Number 936-231-8568.